Etisalat Nigeria (9 mobile) has many data plans for blackberry, android and ios mobile phones Eg Apple iphone subscribers. This article contains the latest Data Plans, Subscription Codes, and Prices for Etisalat (9 mobile). The only downside to Etisalat (9 mobile) is that it seems that it keeps on changing its data plan prices and recently the network provider has changed its name from Etisalat to 9mobile. No doubt Etisalat (9 mobile) offers fast internet but when you compare there data price with other network provider,it shows that the price of their data is relatively still expensive. Listed below is the current Etisalat Nigeria ( 9 mobile ) Data Plans, Subscription Codes, and Prices 2017. N1000 for 1GB: This plan gives 1GB of data for N1,000 and valid for 30 days. To activate, dial *229*2*7# or SMS AND1 to 229. N2,000 for 2.5GB: This data plan is valid for 30 days. To activate, dial *229*2*8# or SMS AND2 to 229. N8000 for 11.5GB: This data plan is valid for 30 days. To activate, dial *229*2*5# or SMS MB6 to 229. To subscribe to the 9Mobile Weekend plan that costs N1,000, dial *229*3*12# and the validity is 30 days. To subscribe to the 9Mobile Weekend plan that costs N2,000, dial *229*3*13# and the validity is 30 days, plus 100MB for WhatsApp. Get access to BBM, WeChat, Facebook Messenger, Watsapp and all instant messaging apps. It costs you N50 per day and also N150 per week. It gives unlimited access to all instant messaging apps, eskimi, Instagram, BBM, twitter and Facebook costs N300 per week. 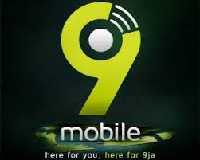 9mobile Videopak: It gives 2 hours access to watch video uninterrupted using any app.Costs N400 for the 2 hours. Smart Data comes with 30% extra data bonus for each plan as well as a voice rate of 20k per second. Costs of the data plans are the same as stated above.